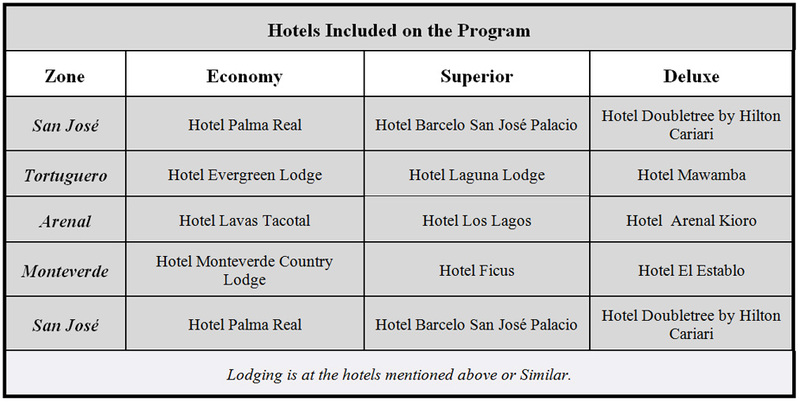 Arrive in San José where one of our representatives will assist you and provide the transfer to the capital, where you will stay at the San Jose Hotel. 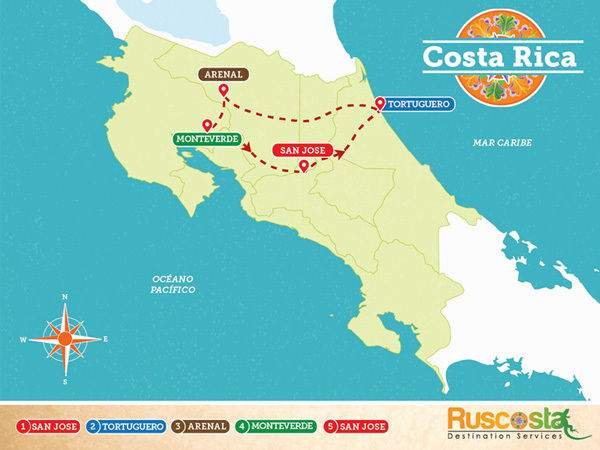 Who wouldn't want to spend the perfect vacation in a paradise like Costa Rica? Tour to the Tortuguero National Park is included (Entrance Fee $15not Included). Visit to the Village of Tortuguero is included also. Package 3Days 2Nights Full Board. All meals (breakfast, lunch & dinner). Standard Room. After Lunch you will be transfer to your next destination at Arenal. All the land transfers mentioned in the program. Tortuguero National Park, entrance fee (15 USD per Person).